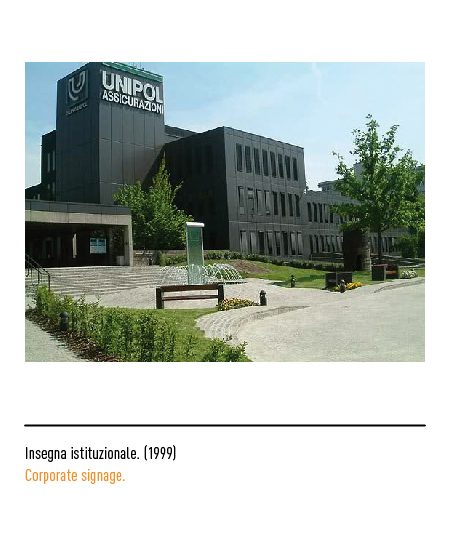 Unipol was established in 1963, when the managing directors of the National League of the Bologna Federcoop Cooperatives decided to unite all the clients the different cooperatives had in various insurance companies in one big network. 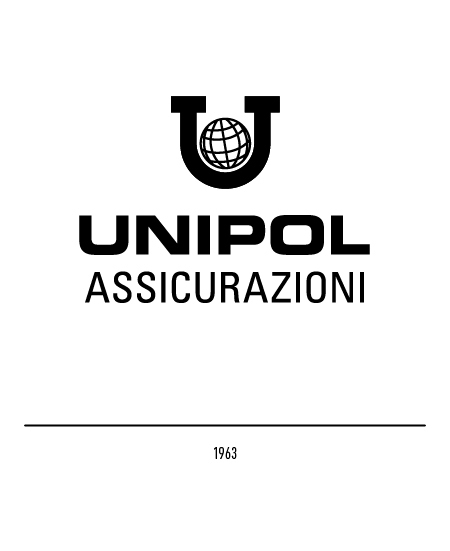 Everything started in 1961, when a small insurance company, Unipol, owned by the Buglione family, which also had Lancia, proposed a purchasing agreement, authorized in the same year but made effective 2 years later. 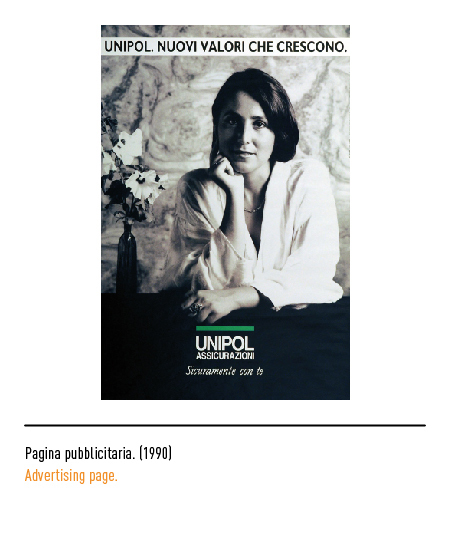 The name comes from the union of the words "Unica Polizza" (single policy), which referred to the RCA (civil responsibility for automotives), a insurance policy still not compulsory at the time, which would have been offered for free to whoever purchased a Lancia. 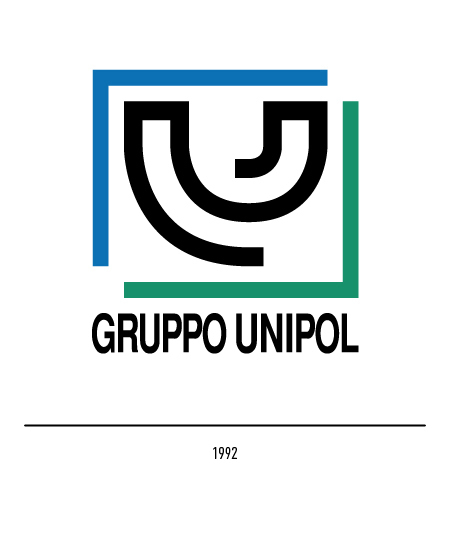 At the time the logo had been designed by Aldo Novarese. 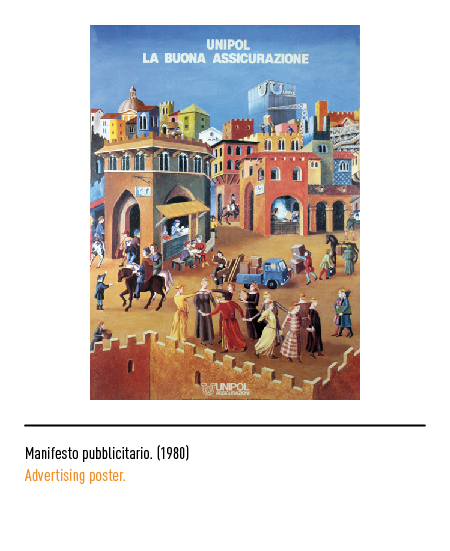 and consisted of the first letter including a sphere representing Earth, and the rest of the logotype in capital letters in Eurostile font. 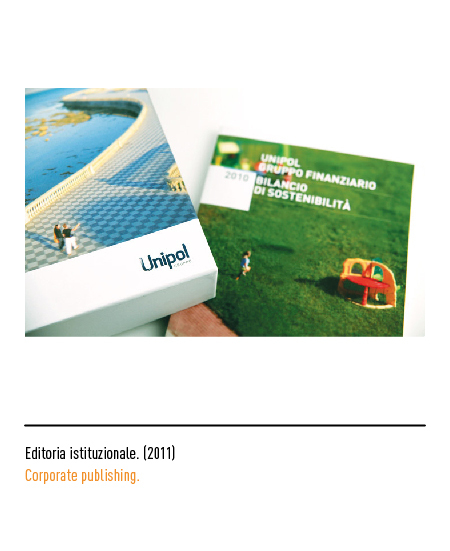 Due to the lack of regulation, in internal and external communication only the logotype was featured. 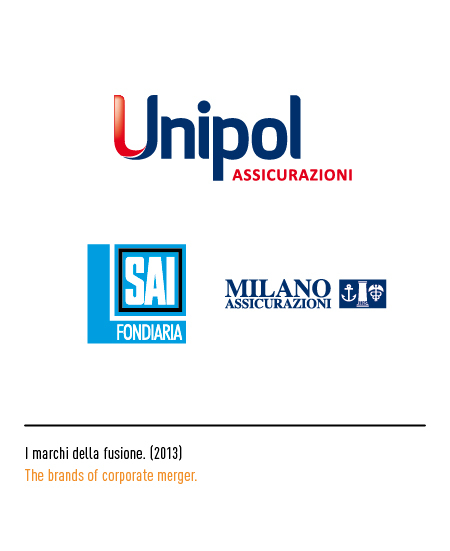 In the seventies, the three biggest work union (CGIL, CISL and UIL) became members, followed by three more later on (CAN, CIA and Confesercenti) , respectively protecting the interests of manufacturers, farmers and traders; this was the moment in which Unipol affirmed itself as a business focused on cooperatives and the working market in general. 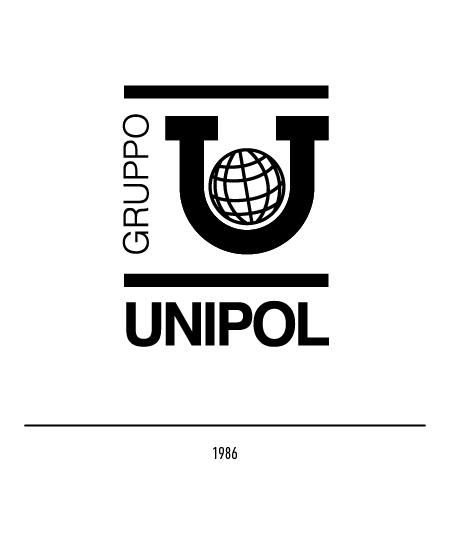 In 1986 a logo featuring only the U and the Earth was chosen as the representative logo for the corporation. 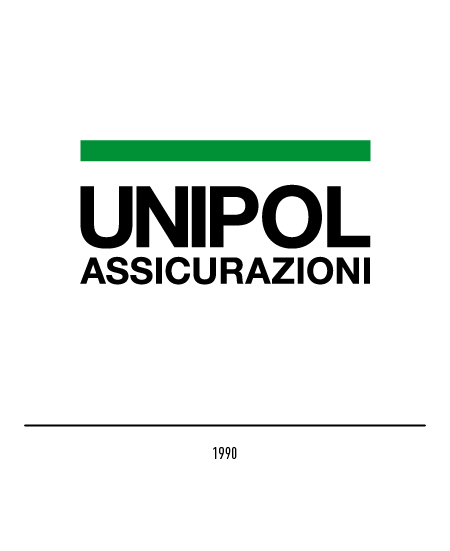 In 1990 Unipol enters the stock market; thus a restyling is required, this time focused on the changing of the font (from Eurostile to Helvetica) and some minor modification, such as the green rectangle which goes from the U until the end of the logotype. 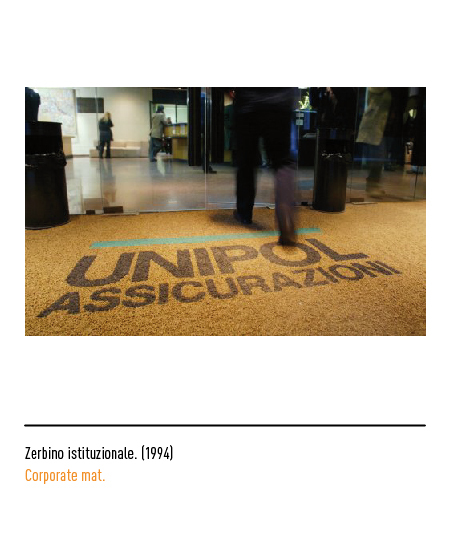 The corporation logo undergoes a first restyling in 1992, in which the U is included in a square with open corners. 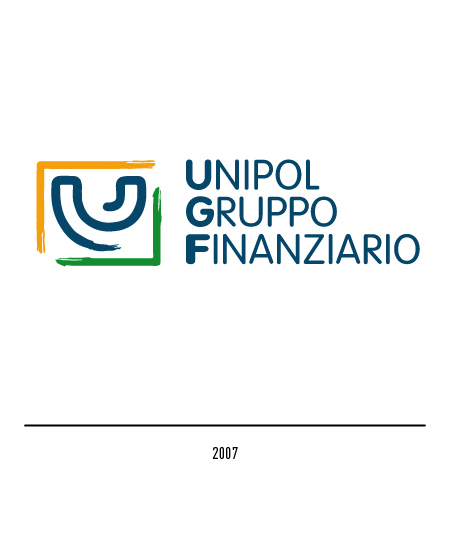 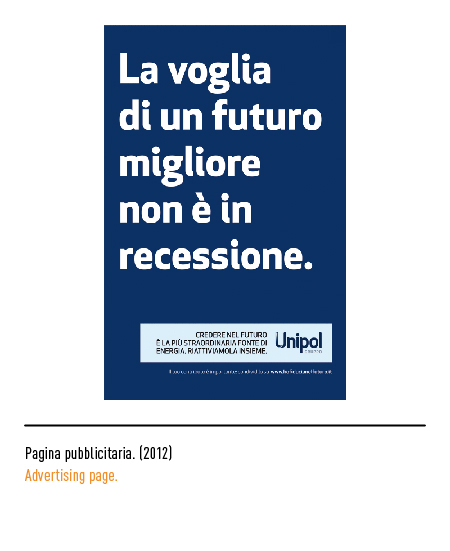 With the reorganization of the corporation happened in 2007, which changed the name from simply Unipol to UGF, Unipol Gruppo Finanziario (Unipol Financial Group), the corporation logo undergoes a second restyling: to the simplified U included in the square, the three different words of which the denomination is now made of are added, spread on three lines and featuring the Arial rounded font. 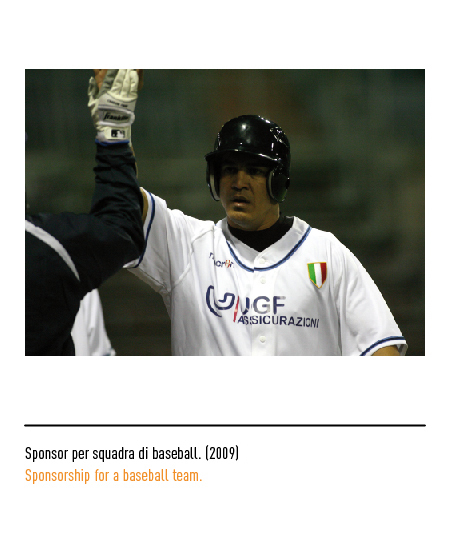 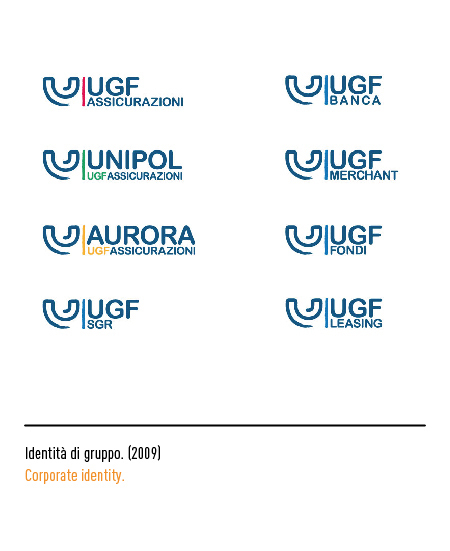 Such corporation included the central and coordinating functions of Aurora Assicurazioni and Unipol Assicurazioni, whilst the operative functions still belonged separately to each company and logo, logos which underwent a restyling in 2009 in order to put more emphasis on the identity of the corporation, achieved through the use of the U and of the same font. 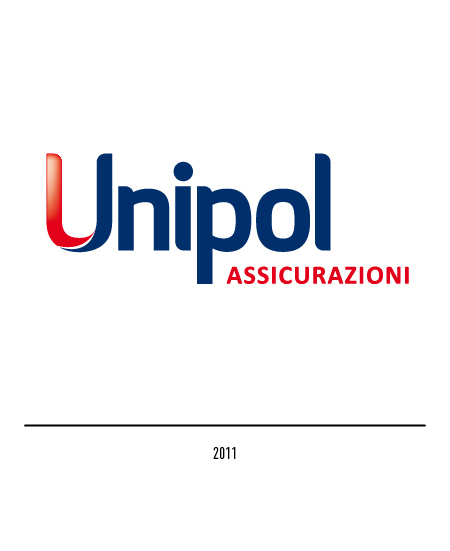 In 2011 there is a need for a complete restyling, which not only will affect the logo but the whole brand architecture; the aim is to valorise the historical name (Unipol), and the task is given to the inTesta agency of Turin; the new visual identity is characterised by a simple and linear logotype, whereas the corporation logo is ought to represent the different realities of which it is composed, thus featuring a larger chromatic scale. 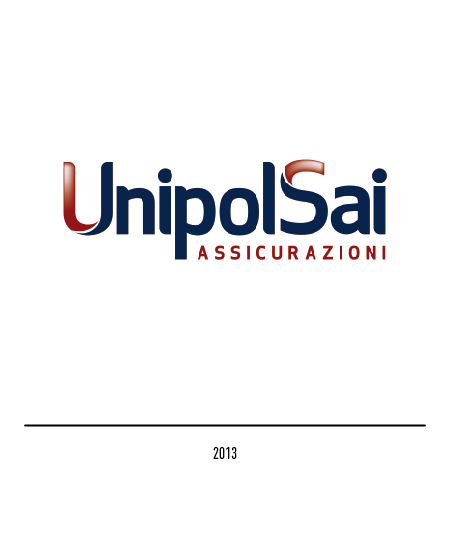 In 2013, the biggest merger in which Unipol has ever taken part happens: UnipolSai is born. 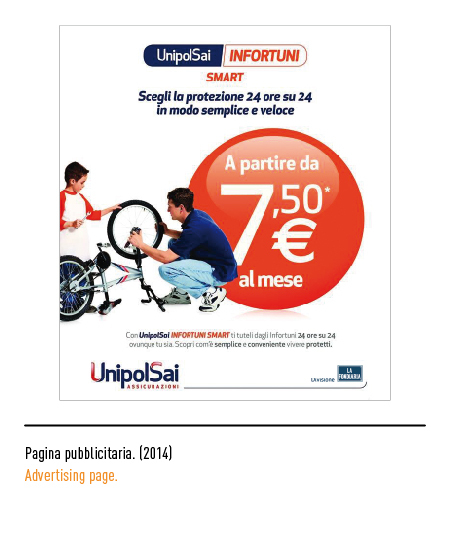 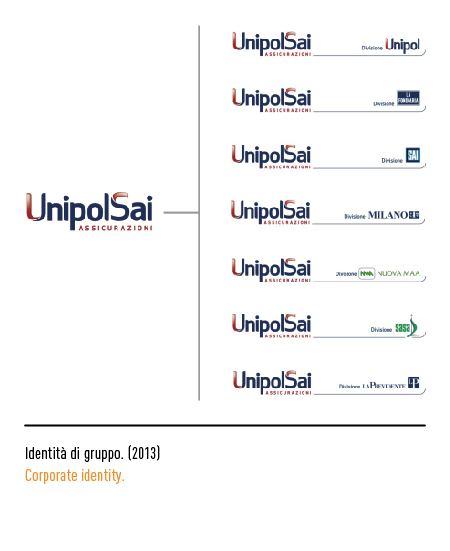 UnipolSai includes some of the biggest and most important insurance companies in Italy: Unipol Assicurazioni, Fondiaria-Sai, Milano Assicurazioni. 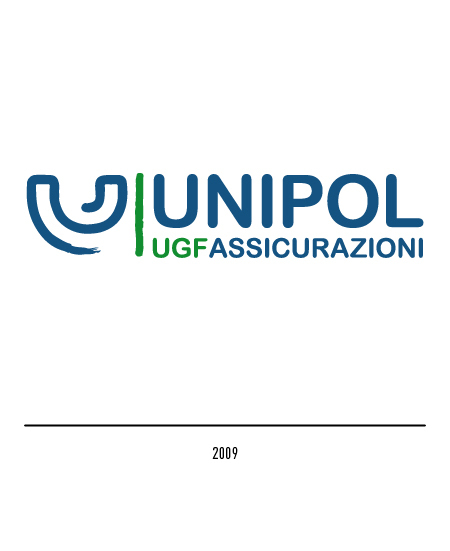 The merging happens to take place exactly during the 50th anniversary of Unipol; thus , both to celebrate and include in the new logo the two new realities which came to be a part of Unipol, a restyling is carried out : the two words, Unipol and Sai, united , with capital initials. 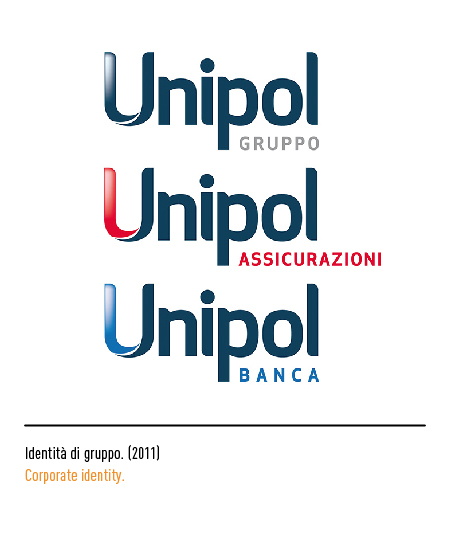 The brand identity, yet again entrusted to inTesta agency of Turin, focuses on the same traits as for the Unipol corporation: linear contours, bright colours and light shading. 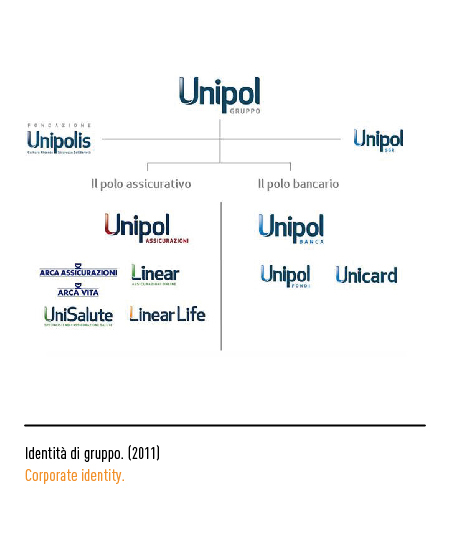 UnipolSai does operate on the market through a dedicated and divided structure; therefore, on every communication element, both the logo of the company and that of the UnipolSai corporation are featured, connected through a thin line, in order to underline the connection between the company and its corporation.